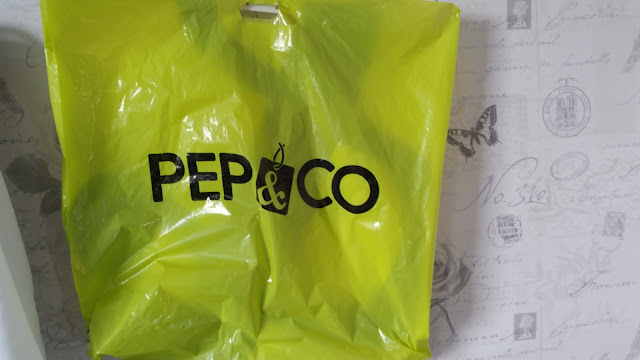 Have you heard of Pep & Co? I hadn't until last weekend when I saw on in Ashton but it wasn't quite ready and I pressed my nose up to the window to have a look see. This weekend I spotted one had opened in my local town centre and I planned on just having a look in £33 later I escaped. 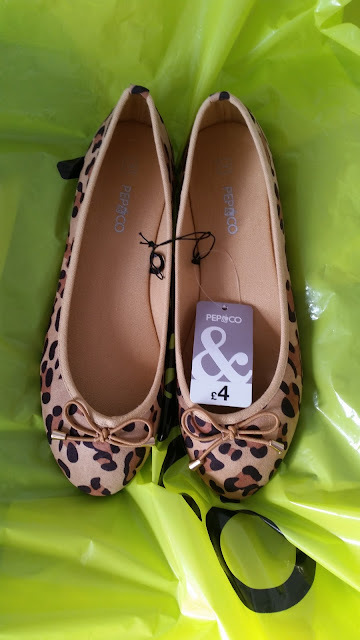 Everything seems reasonably prices and there is a mix of womens, kids and homeware products and items I looked at felt nice quality and were really good prices. 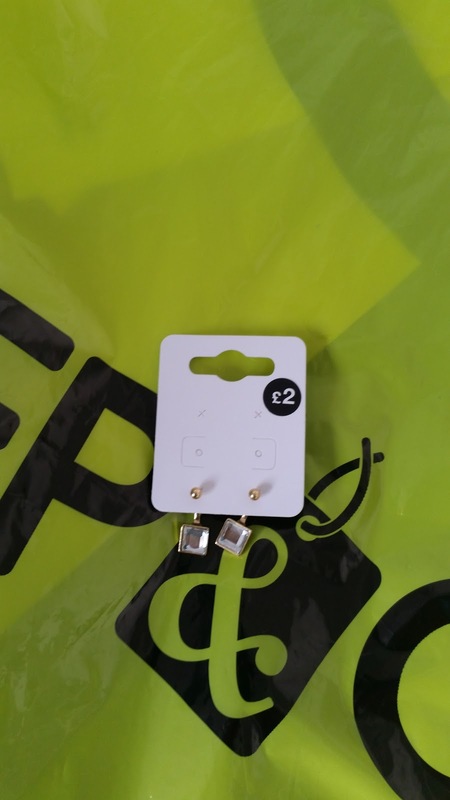 You know how much I love front and back earrings and they have them for £2. I love the clear glass square look and how simple they are. I don't normally wear hoops but I though these were a little bit different. 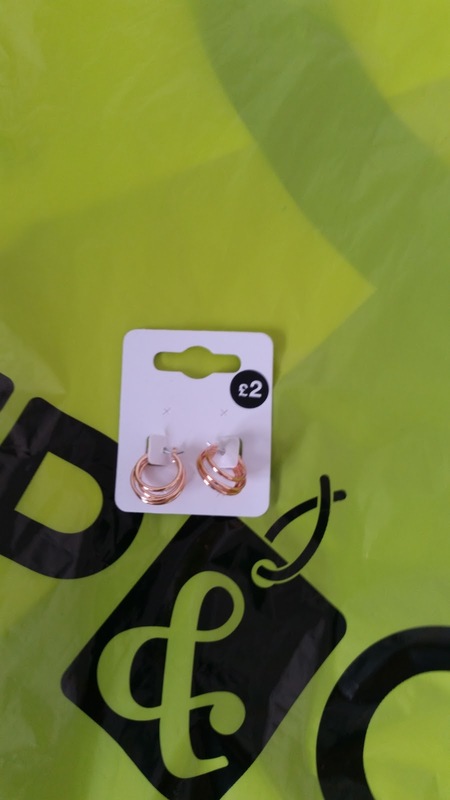 I also love Rose gold at the moment but for £2 they are a bargain. 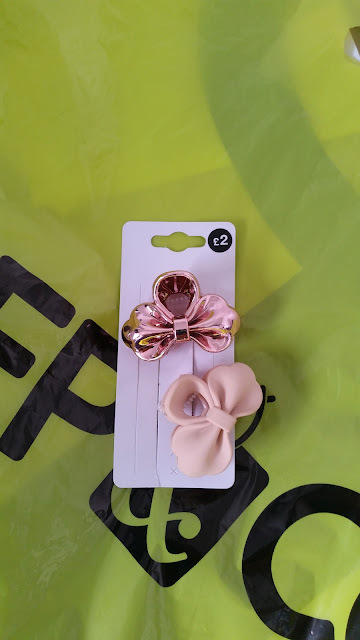 Since growing my hair I am trying to wear it down motr but more often than not I go for the half up look and these sorts of clips are great for that. they are chunky enough to get most of my hair up in when I have that moment when I need all my hair out of the way but small enough to do half and half. Another £2 bargain. 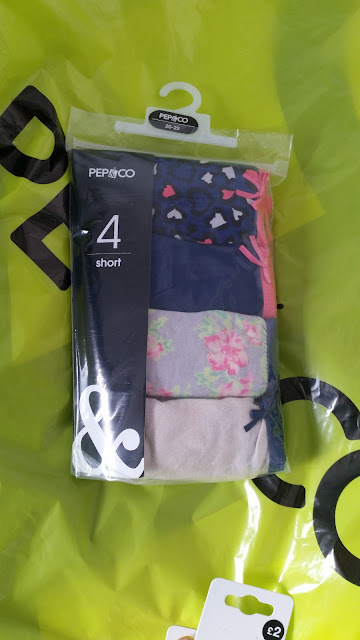 I only had a quick scan through the rails and it looks like they only go to a size 20 which is a bit disappointing but like with all brands it's going to be worth trying things on. This is a tad snug on me and very similar to another top i've got. It was £10 so I thought it was worth a try, The fabric has some stretch in it but I think it will be going back. They also had it in cream and if it fitted better I think I would have swapped it. Well we all know these are knickers. £3 for 4 pairs is a bargain and it seems to be feast or famine in my knicker drawer, I have 2 pairs in their at the moment but the other week there was at least 20 pairs!! where do they all go? I've not tried these yet but wanted to mention them as they are a size 20-22 which gives me hope they may go to a size bigger than a 20?! Maybe? A matching set for £7, £5 for the bra, size 40B and £2 for the knickers, Size 20. I haven't tried these but I was amazed to spot a 40B. I couldn't see in any of the other bra's but it's so nice to have another option. I'm not normally one to bother with matching but for the price it seemed rude to leave them behind. 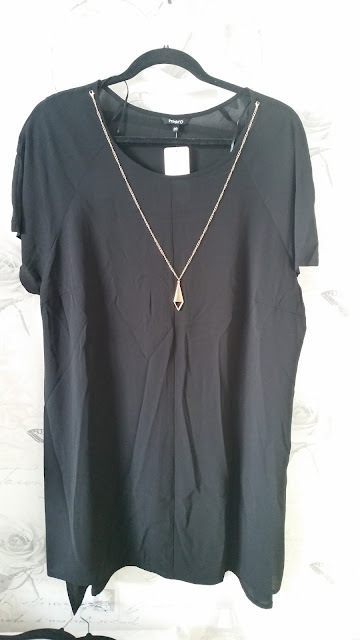 I also got a three strand necklace which had a small sort of tube of metal on each strand which i bought for £3, this was far too short for me, I knew it would be. I have a very thick neck and while I was in the queue I knew I should put it back but it hasn't gone to waste I've given it to my mum. Have you got a Pep & Co in your local town centre? What has caught your eye?